If you’ve never ridden a horse on the beach before this should be at the top of your list for things to do in Myrtle Beachy! Horseback riding is one of the popular, most fun things, to do in this area. Knowledgeable and friendly staff will be with you as they guide you along a predetermined trail. For those who ride often, there’s just something mesmerizing about riding a horse in the surf at the beach. Try it for yourself and you’ll agree – it’s quite an unforgettable experience! 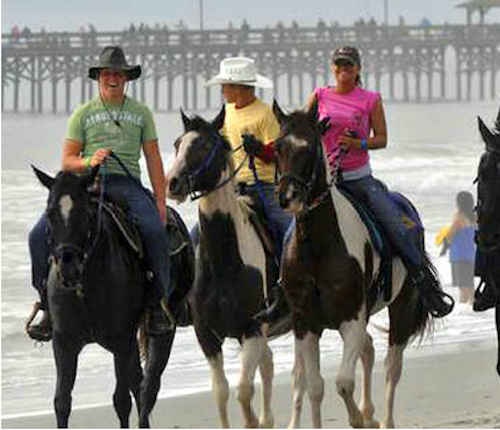 Horseback Riding of Myrtle Beach, LLC, offers a relaxing and memorable way to view the coastline of South Carolina. While the group stays together, you will be able to ride at your own pace. Each of the tour guides are friendly and you can count on them to add a little southern hospitality to your horseback riding experience. If you have prior experience you may trot rather than walk. Horses have a very calm and obedient temperament and can be led into the surf to splash around if you would like. While we ride year round, our locations change slightly depending on the season. Don’t let the different locations confuse you! All locations are easy to find and we will guide you right to us the day of your ride. From March 1 through Oct. 31 we ride beautiful equestrian country trails in Conway (about 30 minutes from the beach). From Nov. 1 through Feb. 28 we ride along the coastline of Garden City Beach and Myrtle Beach. Open for reservations from 8:00 a.m. to 8:00 p.m. 7 days a week. Rides are Monday thru Sat. Reservations are necessary for all rides. If you must cancel please understand that you must cancel 72 hours in advance to guarantee reimbursement. If this is not possible we will do our best to fill your spot however, if this can’t be done your payment will still be processed. 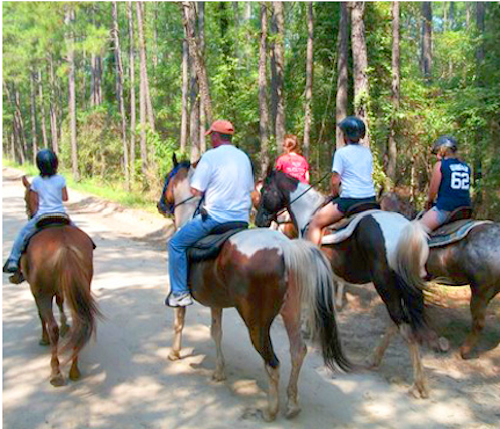 Call Horseback Riding of Myrtle Beach at (843) 997-1876 to make reservations or to cancel.